The Centre for International Governance Innovation (CIGI) is pleased to announce the appointment of Rohinton Medhora as president, effective May 19, 2012. 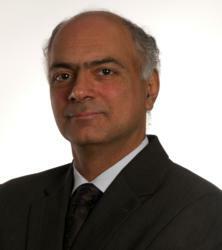 Rohinton Medhora is appointed CIGI President, effective May 19. Dr. Medhora is currently vice president of programs at the International Development Research Centre (IDRC), a federal crown corporation that supports research in developing countries to promote growth and development. Previously, he was director of IDRC’s Social and Economic Policy programs and led the centre’s Micro Impacts of Macroeconomic and Adjustment Policies and Trade, Employment and Competitiveness initiatives. Dr. Medhora received his doctorate in economics in 1988 from the University of Toronto, where he also subsequently taught for four years. His fields of expertise are monetary and trade policy, aid effectiveness and international economic relations. He has been a member of CIGI's International Board of Governors since 2009. Dr. Medhora will assume his new position on a half-time basis over the summer while completing projects at IDRC and looks forward to assuming the CIGI role on a full-time basis in September. Dr. Medhora succeeds CIGI Executive Director Thomas A. Bernes, who was appointed in December 2009 and is assisting in the transition through May. Mr. Bernes, who has held high-level positions in the International Monetary Fund, the World Bank and the Government of Canada, will continue with CIGI as a Distinguished Fellow, with special expertise in the global economy and global governance. The Centre for International Governance Innovation (CIGI) is an independent, non-partisan think tank on international governance. Led by experienced practitioners and distinguished academics, CIGI supports research, forms networks, advances policy debate and generates ideas for multilateral governance improvements. Conducting an active agenda of research, events and publications, CIGI’s interdisciplinary work includes collaboration with policy, business and academic communities around the world. CIGI was founded in 2001 by philanthropist Jim Balsillie, then co-CEO of Research In Motion (RIM), and collaborates with and gratefully acknowledges support from a number of strategic partners, in particular the Government of Canada and the Government of Ontario. For more information, please visit http://www.cigionline.org.